Facebook Dislike Button-New Facebook Scam to Trap You! In the 1st scam your friend X is asked to click on the enable button . When your friend X clicks and downloads the script , all of his friends get a wall post by X , asking to enable the dislike button in the same wording. In the 2nd scam your friend X is asked to visit a certain site to download a script . Now if X does the same mistake again of downloading that script his all friends would get a wall post , asking to enable dislike button including you . And if any of yours friend does the same mistake as X did then this script would also flood the wall of his/her friends . That's how this script spreads on the Facebook. In reality there is no such button introduced by Facebook and this is scamming and works like other scammed videos Firstly it will ask you to like or open a certain link and when you will click it , it will take you to another page like for downloading or playing any video . When you will play that video or download any thing your Facebook account would be spammed in the meanwhile. In other case it may give you an error that “oops! your flash plugin has crashed update it here”. And under here hyper link there will be the path of a Trojan which will be installed silently in your computer and will open your security and passwords to the one which has created this spam. 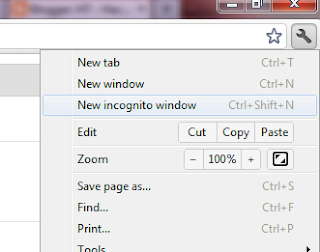 Use Firefox and add an addon named no script in list of your Firefox add-on . You may get Firefox addon from here. So in case if you mistakenly clicks on the enable button then the action would be blocked as it does not let any script enter in your computer . But it can not deceive downloading . For this you have to take care . In opera there is also an extension used which is called NOTSCRIPT like add-on no script this extension blocks all the scripts coming through the internet.